Renaissance Recovery Las Vegas is truly Nevada's best and only option when it comes to holistic and medical healing from the debilitating effects of substance abuse and alcoholism. Unfortunately the harmful dangers of drug use are all around, and there just is not enough help out there! Our drug rehab center in Las Vegas does everything we can to help those with an addiction fight a good fight until victory is secured. ​We have a great track record when it comes to rehabilitation success. We wish we could save them all but have learned you absolutely have to do your part for anything to work and take root! Having said that, please pick up your phone and call us if you are honestly ready. ​If you still have your reservations but want a better life, you need to still call us and let us lovingly guide you to a better place in life. However, if you know you are not ready to turn the page and start a new life over, then do not waste our time or your own. This reason alone is why so many fail multiple times at getting clean and sober or through their 12 Step program. They just are not ready to commit to a new and hopefully better life. they really can't imagine themselves as anybody else other than a junkie. ​If you ever want to heal, you must be able to love and forgive yourself first, and then love and forgive all others second! Recovering from an addiction is not about quitting and then suddenly having all of your problems magically go away. Rather, drugs and alcohol is the solution to your problems in life. Only problem is...this is a faulty coping mechanism that eventually takes lives if left untreated. I'm sure all who read this would agree that addicts overdose and die from heroin, cocaine, benzodiazepine, alcohol, etc. all the time. Furthermore, that if they would, they could recover. The only problem is that they first have to be willing to be honest with themselves and others. The other major hang up that almost always slows down or even completely destroys any opportunity is finances. Here at Renaissance Recovery in Las Vegas, Nevada we understand the struggle many addicts face on a daily basis. We have insurance specialists set in place to help ease the costs of life saving treatment. Let us help you navigate through the dismal world of insurance. We are able to bill both in and out of network and so are positive that we are going to help you figure out the right solution for you. Because treatment does cost more than a few candy bars, that is why we want you to be absolutely certain that you are ready and wanting to get better. Otherwise, you really are just throwing your money in the toilet. Conversely, if you are court ordered by the judge to attend and successfully compete a drug rehab program, you might as well make the most of it and learn something new. Earlier we mentioned that we are the number one drug and alcohol outpatient rehab in Las Vegas. However, that level of care is only a part of the services we offer. If you are in need of inpatient residential care, we have you covered and can get you to the perfect fitting facility that caters to your specific behaviors and addiction. When it comes to outpatient rehab, we specialize in many different approaches that are proven effective. We are able to provide you with a myriad of intensive and general care. Take for instance our Day treatment Program which consists of 20 hours of treatment per week. Or our intensive outpatient program which is approximately 9-12 hours per week. With our general outpatient program, we provide around 1-3 hours of therapeutic services per week. Within all this time, we provide a healthy balance of both 12 Steps, individual, group and family therapy. We have seen the best results stem from a combination of using all of the above. If you think you can pick and choose what is best for you...think again! In fact, your best thinking is what got you here to this website and if you do not change your "stinking thinking" you will die! ​You must present yourself with an open mind and willingness to completely surrender yourself to the program. It's time to change the way you think, do and feel! We can help. Our staff and therapists are eager to assist you with all of your problems. For no one person is too lost or broken or unable to heal! Although your addiction might be hopeless, you are never helpless! Please pick up your phone now and call! We want to help you become the best possible version of yourself! Renaissance Recovery Las Vegas is licensed and accredited in three unique ways. We adhere to all major state and national guidelines and even then go way beyond the general standard. On the state level we are 100% compliant with all rules and requirements. In addition to being state licensed in Nevada, we also went the extra mile and became SAPTA certified. This means we are following all of the guidelines established by the Nevada Department of Health and Human Services. 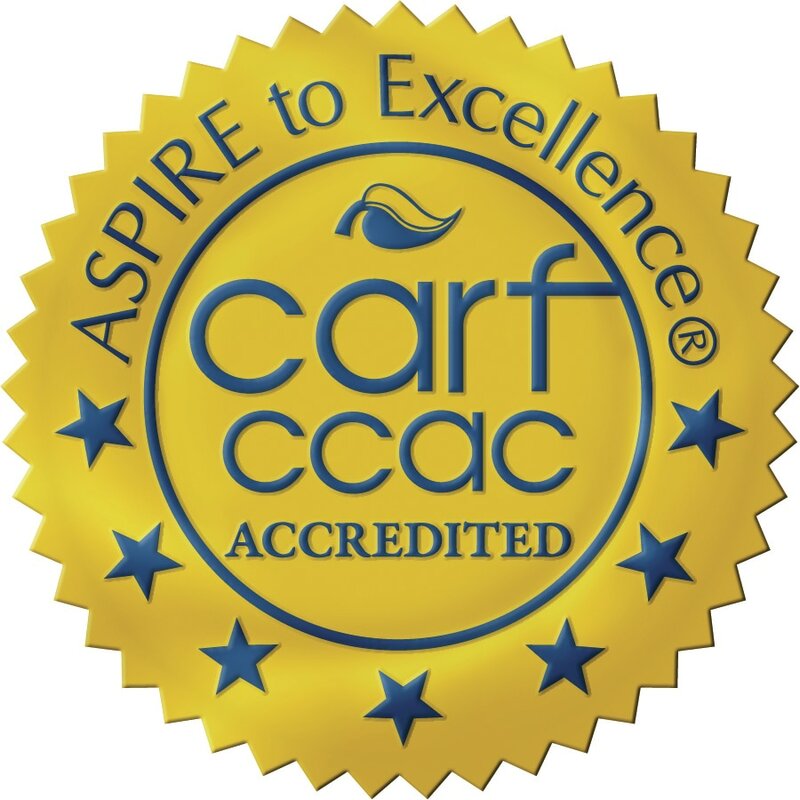 We are also accredited with the CARF (Commission on Accreditation of Rehabilitation Facilities) which means we adhere to the strictest of rules on a national level. We do not believe in such a thing as one size fits all! Rather we will do everything in our power to make sure that you are able to address your addiction in the best possible manner that keeps you comfortable and meets your individual and specific needs. We are also able to cater a special program to help you attend our outpatient rehab after successfully completing residential treatment. We also have intimate relationships with the top rehab centers and can negotiate a fair price or make sure you attend a facility that accepts your insurance. We work closely with sober living programs in the valley. We will ensure you find the best fit for your safe, drug and alcohol free, housing. Renaissance Recovery Saint George has a great solution to your rehab treatment needs when it comes to initially transitioning from residential care to outpatient rehab. This level of care is primarily meant for those that require some extra intensity as far as 4-6 (20-25 hours per week) days of treatment/week. We offer treatment on this level of care for those who do not require residential care and/or who may be court ordered for substance abuse treatment. This level of care is usually offered 3 days per week (9-12 hours per week). Call and see if this is the right addiction program for you? Each family’s success in recovery depends on the healthy involvement of the family. We take great pride in offering family free to the addict client we are treating. We believe that the fruit does not fall very far from the tree! if all are expected to heal, then all must address their skeletons in the closet. Normally we meet weekly to help everyone involved make sense of the disease of addiction. Our staff at Renaissance Recovery Outpatient Las Vegas consists of caring professionals committed to excellence. Please do not hesitate to contact us and see how we can help! We also have a caring team that is on call 24/7 while you are under our care to help you stay clean and sober. We want you to finally have the life you have always dreamed of. Once you successfully complete our program in it's entirety, we expect you to become a strong and integral part of our alumni association. We really want to be a part of your life or even better adopt you in as a part of the Renaissance Recovery family! What are you waiting for? 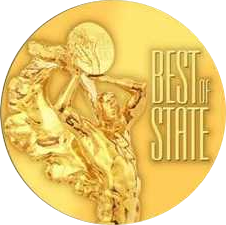 We are "SAPTA" Certified through the state of Nevada!